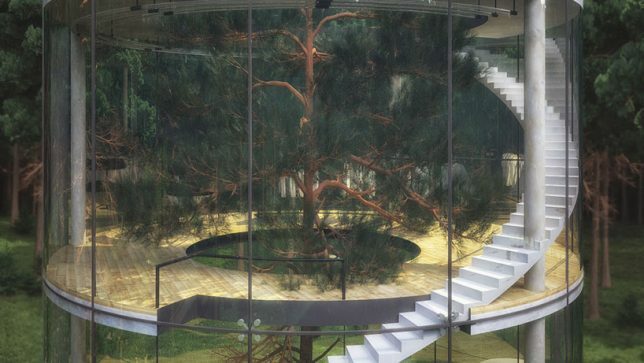 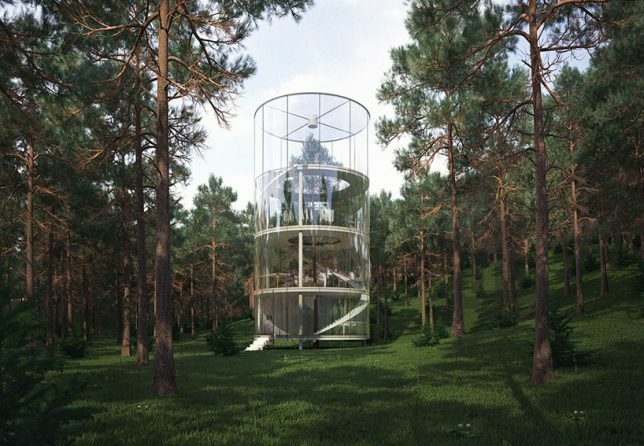 A glass cylinder encloses a massive tree, making it part of the interior of the home, in this design by A.Masow Architects. 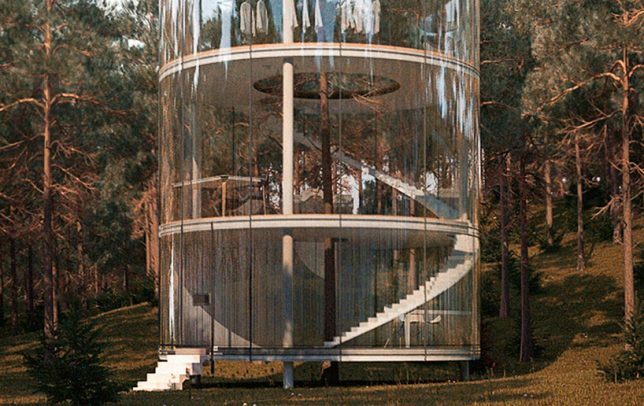 Set within a forest where inhabitants can enjoy privacy despite the total lack of opaque walls, the tubular treehouse features spiral stairs winding from ground level all the way to the fourth floor. 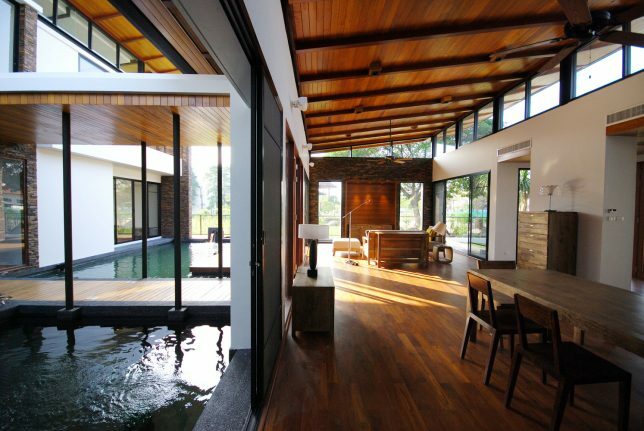 Integrating reflecting pools into the interiors of this Bangkok home almost makes it feel like it’s located along a canal, Venice-style. 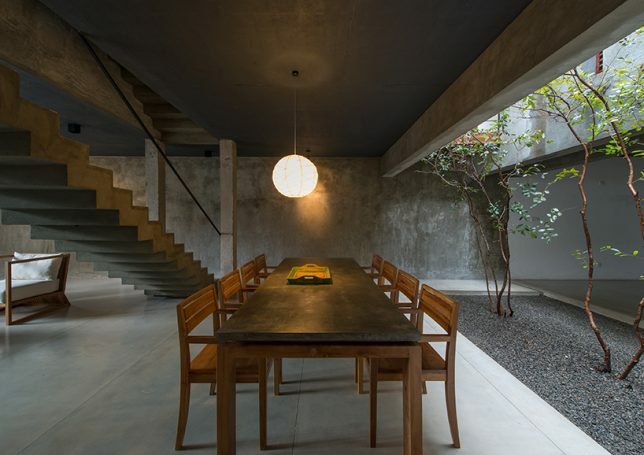 The homeowners asked Junsekino Architect to emphasize the presence of water through the way the house looks, sounds and feels, and bubblers in the water provide a constant, soothing reminder. 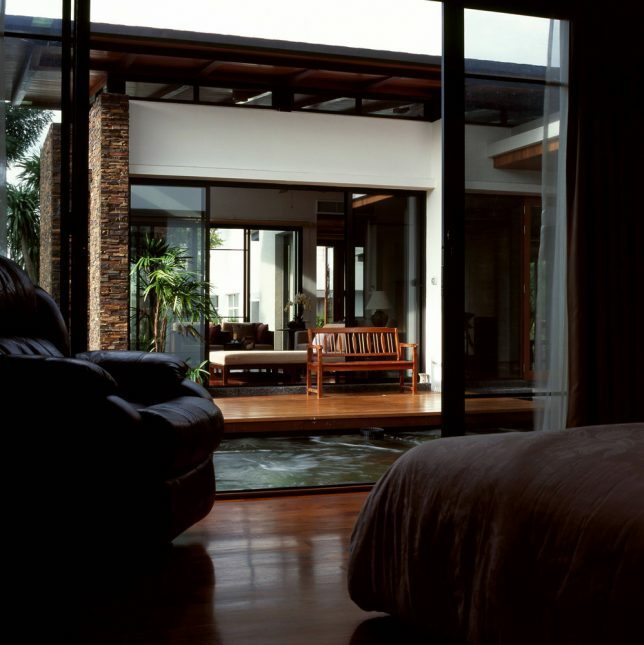 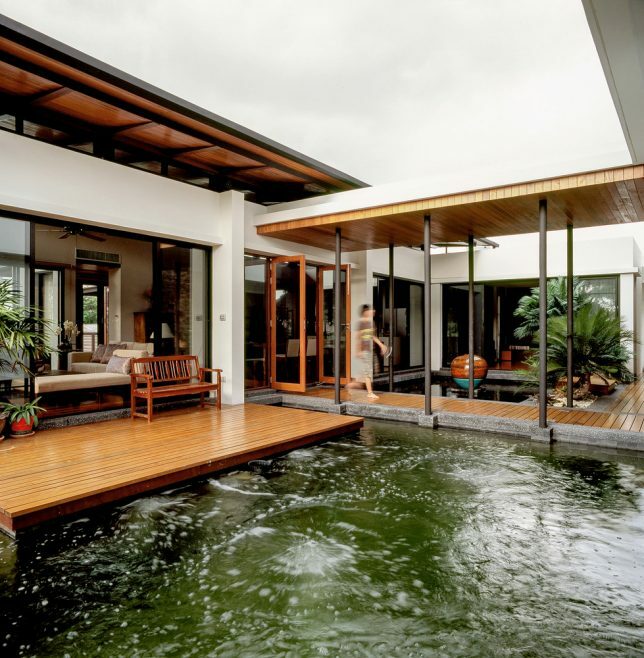 The operable glass doors that look out onto the water can either close this portion of the home off to the rest, or open it into one big space. 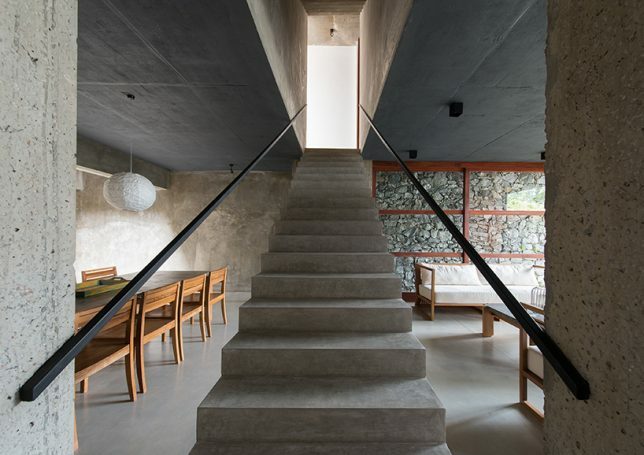 This three-story home in Sri Lanka sits on a challengingly narrow plot of land in an area with a mild, tropical climate. 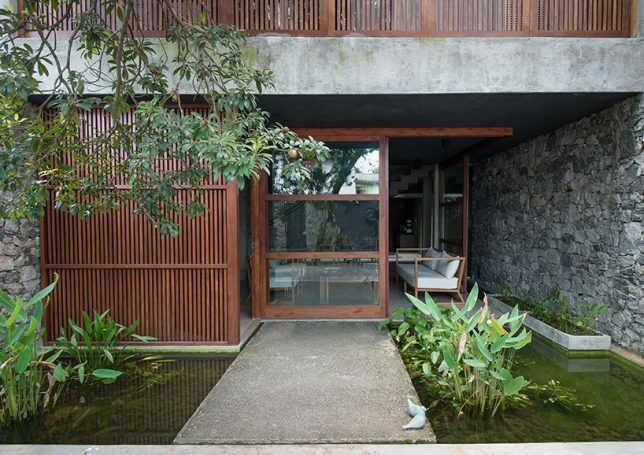 Architect Palinda Kannagara used a timber screen for privacy and shade without blocking out the sun and views outdoors altogether, and invited nature in with the use of water features and interior courtyards full of young trees. 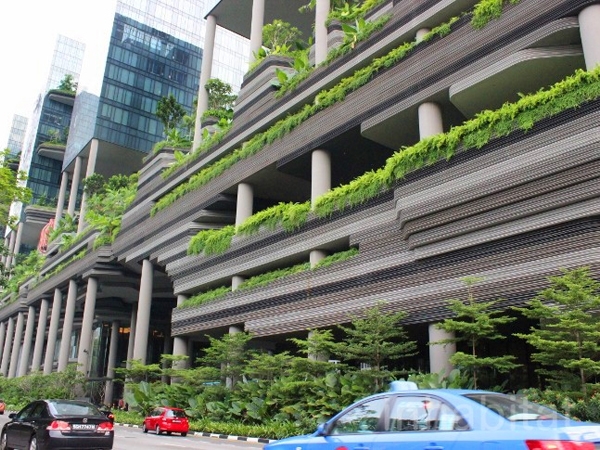 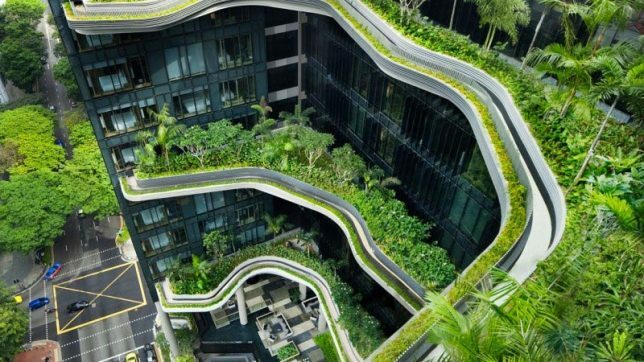 The PARKROYAL on Pickering in Singapore is technically a hotel, not a residence, and some critics have pointed out flaws in their system of planted balconies, but the building still stands as an extraordinary example of nature being integrated into a tall building – one that could serve as inspiration for urban apartments. 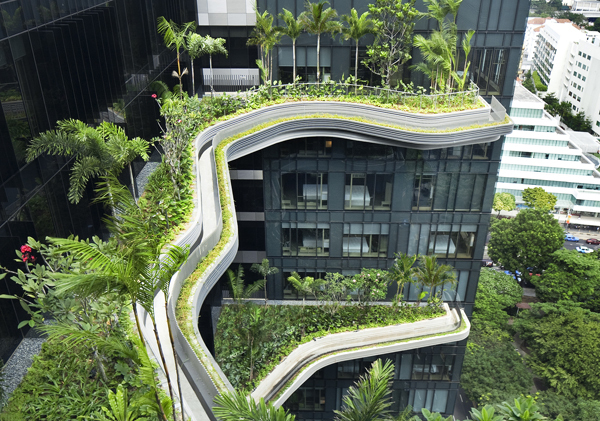 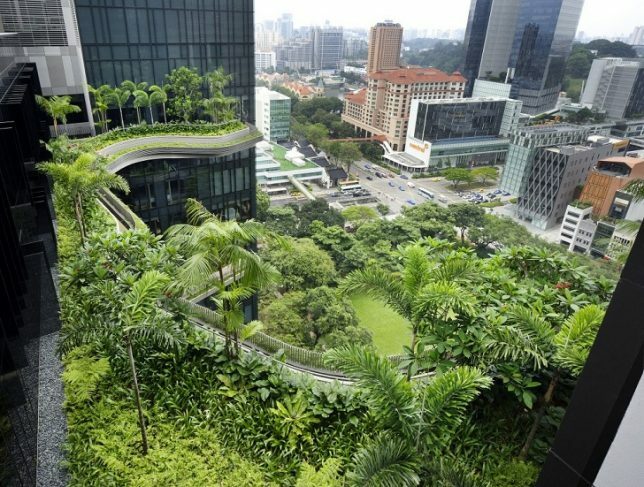 Huge curving sky gardens full of trees and tropical plants cantilever at every fourth level.